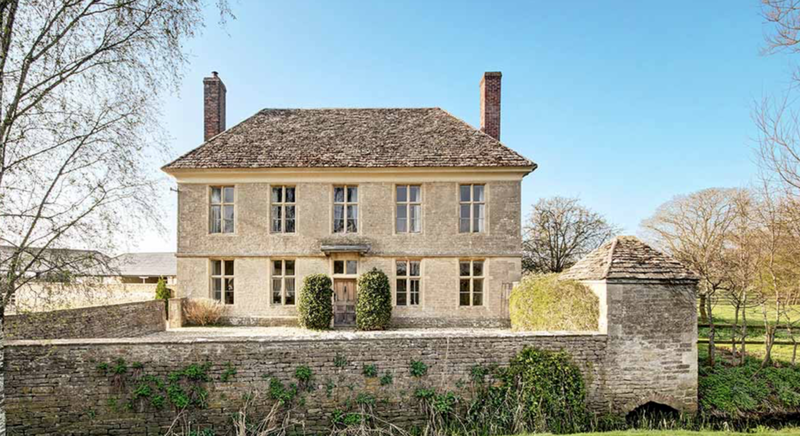 Stunning Queen Anne/Georgian period farmhouse in Wiltshire, including games barn, comfy living room and dining room. This farmhouse is a stunning Queen Anne/Georgian period home and ideal for a large get-together with family or friends as it sleeps up to seventeen guests. It is also suited to small corporate events, training, team building or business retreats for parties of 7-14 depending on single or twin room occupancy. It is set within its own spacious surroundings and in complete privacy. Internally, the period features shine, with huge vaulted ceiling rooms, classic windows with shutters, open fire places and original wooden floors all mixed imaginatively with contemporary furnishings and modern conveniences such as a stunning kitchen with Aga, iPod docking, plasma TVs and unlimited Wi-Fi. 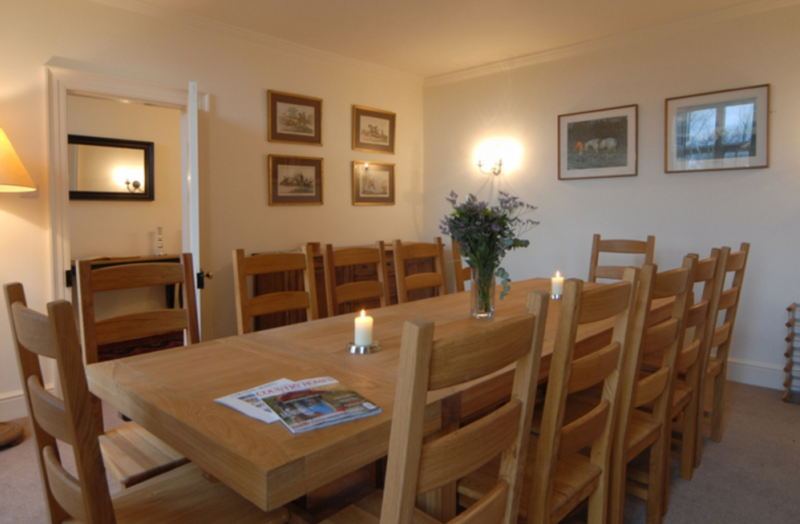 On the ground floor there is a breakfast room with a plasma TV and views across the garden. Superbly equipped kitchen with Aga, separate hob, oven & microwave. Dining room which seats up to 14 people. 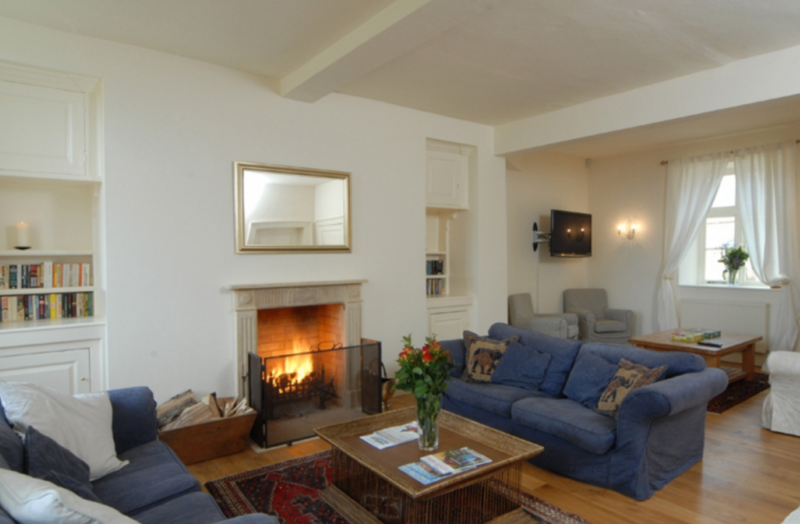 Large living room perfect for relaxing after a countryside walk or bike ride. A snug with a double sofa bed and a downstairs bathroom. There is also a utility room. 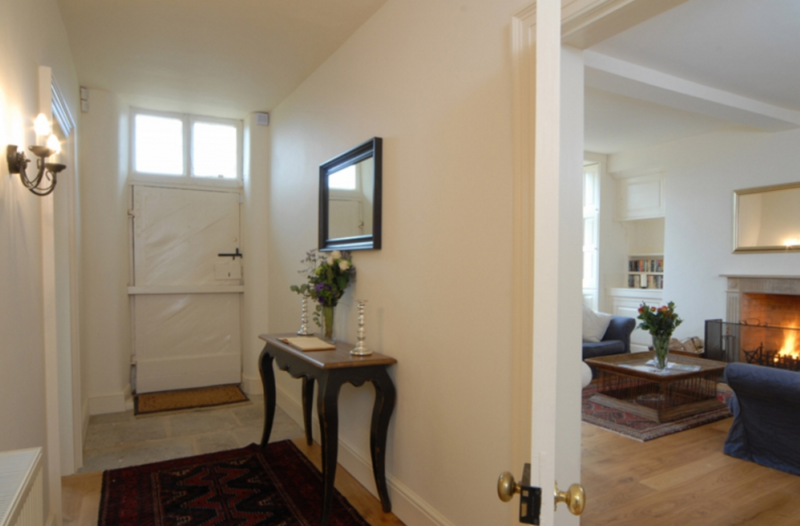 On the first floor are two large bedrooms both with king size beds and two further double bedrooms. There is one single bedroom and two bathrooms with WC, bath and shower. 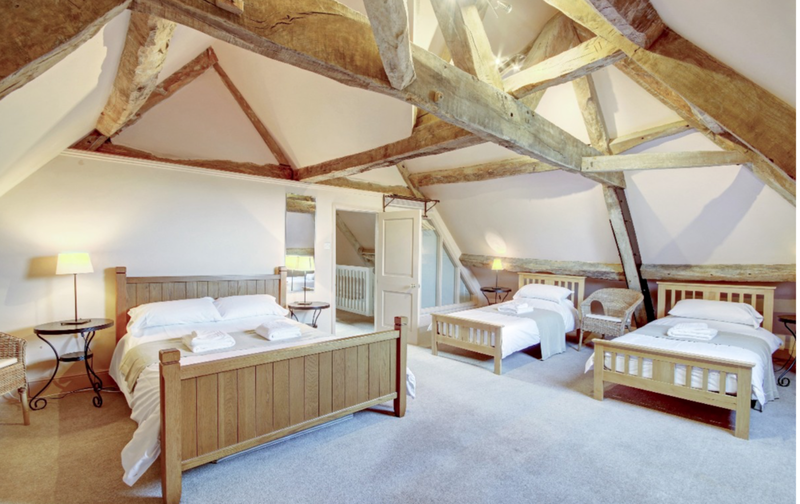 On the second floor there is a large bedroom with a double bed and two single beds, sleeping up to 4 in total. 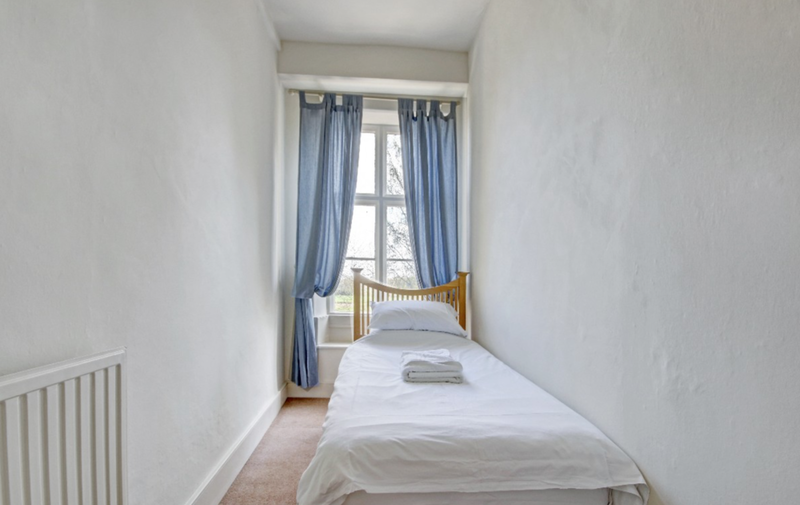 There is also another large bedroom with double bed, single bed with pull out single bed, sleeping up to 4 in total alongside a separate bathroom with WC and shower. 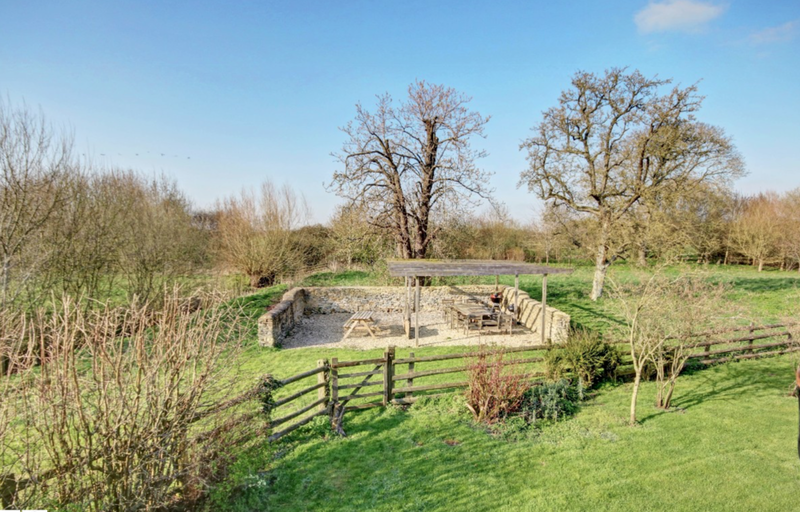 Outside there are extensive private gardens with BBQ area, orchard, paddock, pretty stone barn, small stables and even an ancient outdoor loo that just has to be seen. A large terrace is perfect for training outdoors or for enjoying an anniversary or birthday celebration in the summer sun. 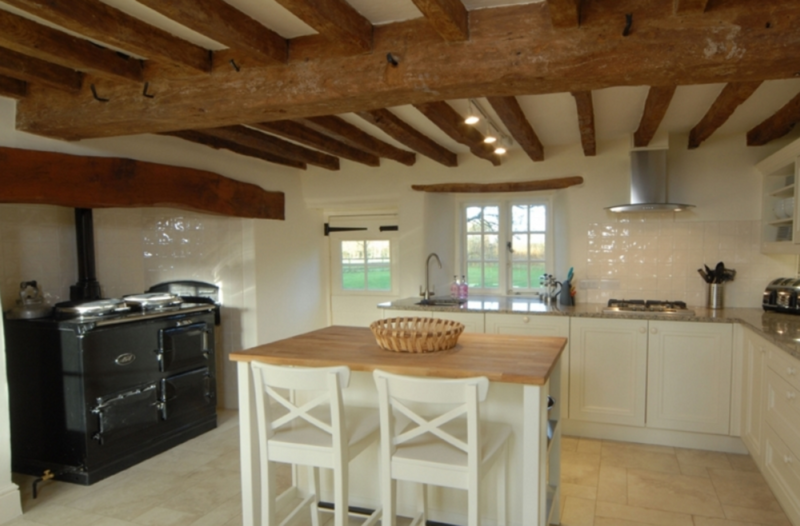 A utility room with washer, dryer, chest freezer and butler sink completed the necessities whilst a table tennis table in the barn, two small pony stables and a quaint small stream running through the paddock area makes delightful finishing touches. This beautifully appointed period house is located in the village of Hannington Wick, a pretty hamlet on the Thames Pathway, on the border of Wiltshire, Gloucestershire and Oxfordshire! Convenient for Cirencester, Lechlade and Burford, with good connections via the M4, M40, A40 and M5. The area is a hotspot for those who love water sports, and the Cotswold Water Park is just 10 minutes away where water skiing, sailing, canoeing and rowing can all be found. 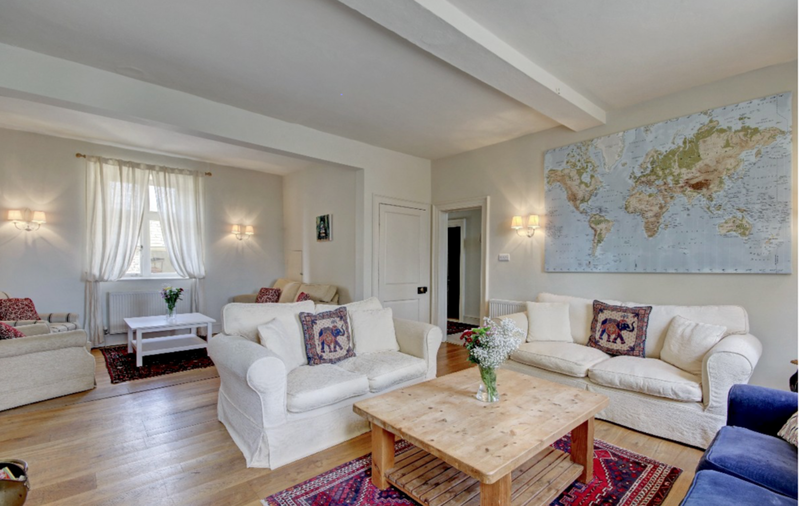 This property is a great location to be based if you are planning visits to the Royal International Air Tattoo at Fairford, the Cotswolds Air Show, Blenheim Palace, Cheltenham and more.